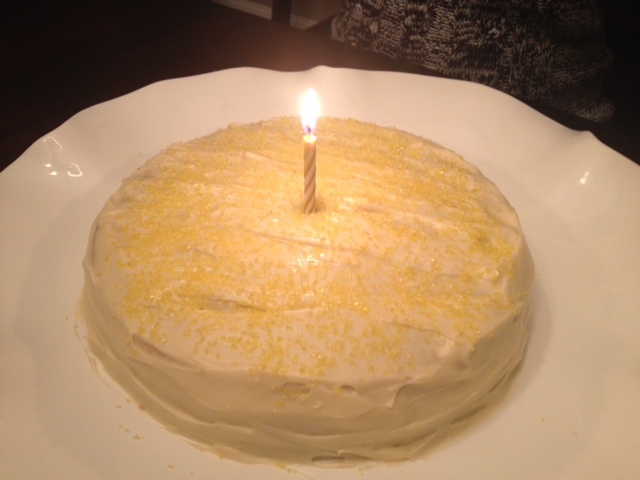 Gluten-Free Lemon Vanilla Cake With Reduced-Fat Cream Cheese Frosting. I don’t usually bake, but I had a dinner party and it was one of my friend’s birthdays, so I decided to give it a go and put my fancy KitchenAid mixer to good use. This cake is “healthy” as far as cakes go, but it is still really delicious. It’s made with reduced-fat ingredients (except for the olive-oil, of course) and is also gluten-free. 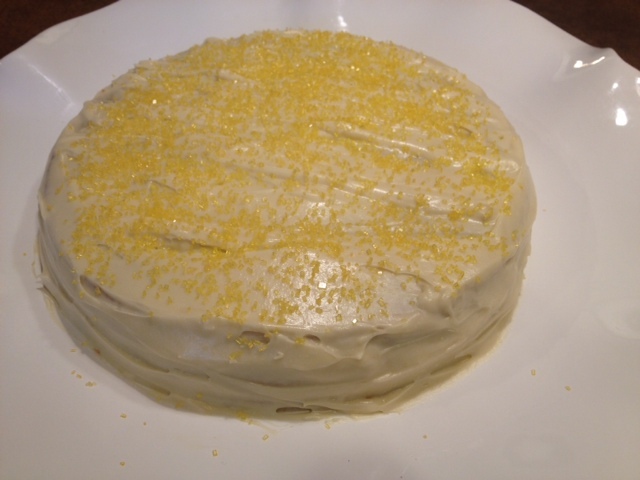 The olive oil in the cake makes it super moist and the creamy frosting compliments the lemon perfectly. 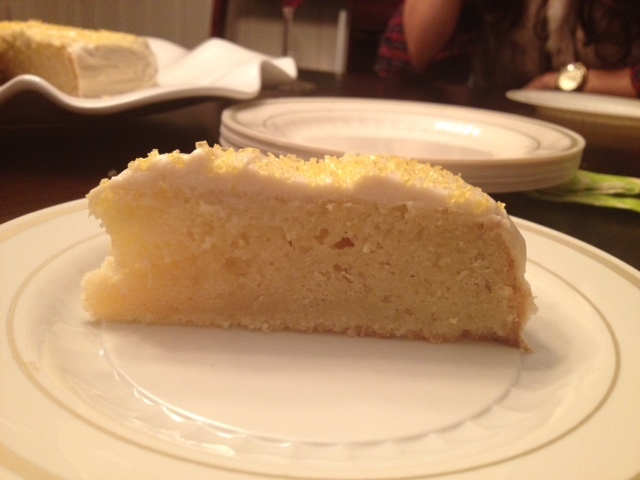 This cake was so good, I might just have to bake more often! Frosting adapted from this recipe. 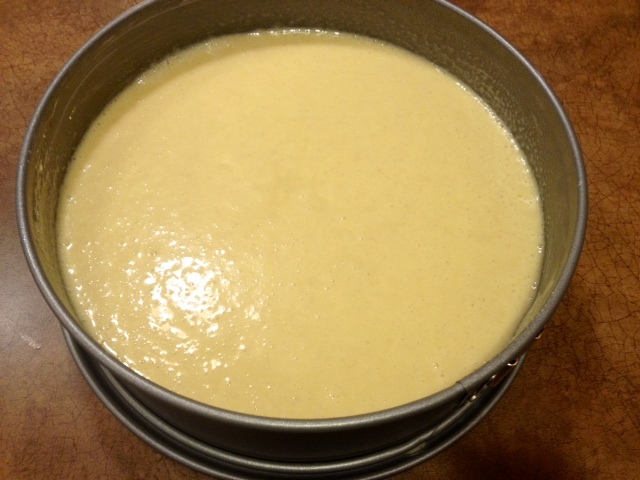 In a mixer, add the eggs, skim milk, olive oil, lemon juice, lemon zest and vanilla. Mix on medium speed and then slowly add in the dry cake mix. Once all of the ingredients are mixed together, pour the cake batter into a greased cake pan. Bake in a 325 degree oven for about 40 minutes, or until the cake is lightly browned and firm. 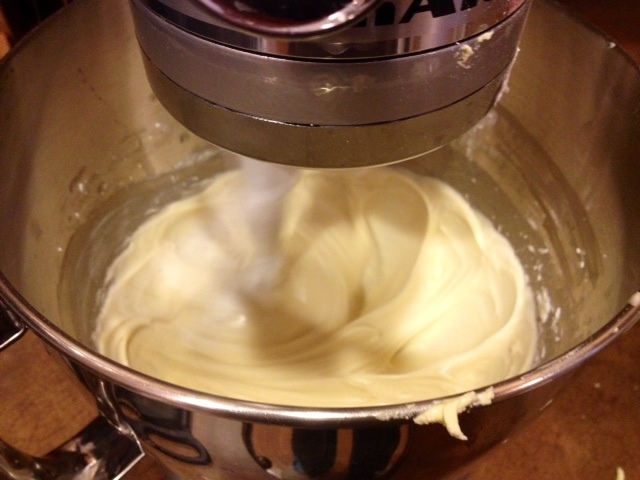 While the cake is baking, add the cream cheese, butter and vanilla into the mixer and mix on low speed. Slowly add in the powdered sugar until the frosting is smooth. 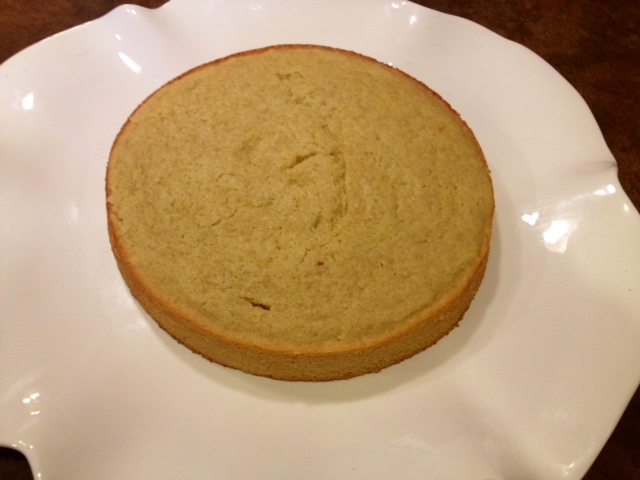 When the cake comes out of the oven, allow it to cool and then remove it from the cake pan. Frost the cake evenly with the cream cheese frosting. I topped the cake with some yellow sprinkles, but you can add any decoration you like or leave it plain. ← Cheesy Chicken & Avocado Egg Rolls.